Available for Purchase at Amazon, and Barnes & Noble. 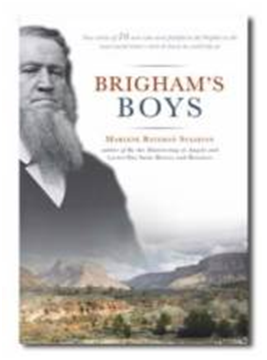 Brigham’s Boys tells the individual stories of sixteen men who worked closely with Brigham Young to bring the pioneers across the plains and colonize the Great Basin area. These men, who Brigham lovingly called “his boys,” were devoted to Brigham and were always willing to serve, no matter how difficult the challenge. This inspirational book shows faith in action as these men obeyed a prophet’s voice and in so doing, accomplished an amazing work.